Life can hurt….. Goliaths are big! I sit in the hospit al room, seeing my 19 year old son, Wesley, laying in a bed that has become way too familiar over the past 4 years. I listen to the sounds of oxygen, IV pumps and now a bubbling chest tube along with the soothing sounds of the praise music he has playing from his blue tooth speaker. Life can hurt. My mama heart just aches for the pain he is enduring now…. and has during the many days since we first heard the dreaded word, leukemia. While leukemia is no longer the Goliath we face, leukemia treatment has scarred his body. The war wounds are real and a secondary battle has begun. There is nothing I can humanly do as his mama to take any of this away…. I’m so glad that we know Jesus and that Wes has his own deep relationship with our Savior. We have lived by the motto of GOD is BIGGER and have seen, felt and experienced the power of God in mighty ways. There is nothing like being in the depths of our lack that allows us to see the provision of God’s hand. What we SEE with human eyes is a BIG Goliath. We see PAIN from surgery to repair the lung, we hear a bubbling chest tube and our hearts hurt hearing his frustration and non typical irritation. We know that biopsy results are out for second opinions and that the whole reason we did this biopsy in the first place must be addressed. This Goliath seems HUGE….. But on days like this we have to CHOOSE to… be DELIBERATE and constantly renew our minds to the THRUTH. 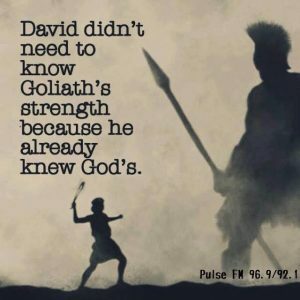 The TRUTH is… No matter what Goliath we *or you* face in life…. GOD is BIGGER! HIS strength and power will ALWAYS conquer Goliath. In our HUMAN strength…. Goliath can over power…. But Goliath can never over power GOD!!! What Goliath are you facing today??? Our God is mighty and able to conquer any Goliath. It takes intentional faith, keeping our eyes on Jesus and HIS power. This life has a lot of hard…. but GOD is BIGGER!!! I would appreciate prayers for our son, Wesley, and I will pray for you. Please leave a comment below and share how I can pray for you. I have a choice in which mindset I choose to filter my life. I can choose abundance or lack. In my relationship with Christ I have an abundant life!! Abundant in my spirit measured in my heart, not in my bank account! My God supplies all my needs and I am so thankful for that promise. I am also so very glad that my level of peace and joy does not come from the balance in my checkbook , the house I live, the vehicle I drive or our physical health. My JOY comes from the maker of Heaven and earth and I get very excited about knowing that this earth is not my home and I will spend eternity in HEAVEN! If you don’t have this peace, please find it in Jesus! Call out his name and He will be there!! He longs to draw you to His side and cover you with His grace and love. You are loved with an everlasting love. There is nothing you have ever done, or will do, that can make him love you less (or more for that matter). 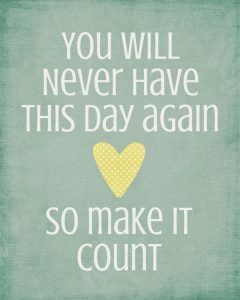 Today, reach out and cling to the source of abundant life!! Jesus! More than Survival!!! I want to LIVE and thrive!! 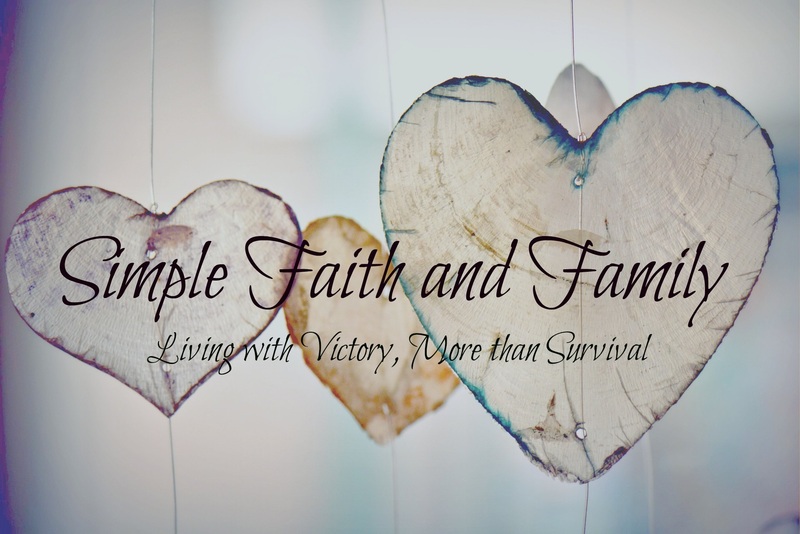 Faith, Family and Simple living are the things that make me who I am. In this small corner of the world it is my heart’s cry to encourage you in your walk with Christ, your life within family and share ways that living simply can bring added peace and empower you to do more than survive. Life is a precious gift! A gift to be lived fully and enjoyed. Life can be HARD…. VERY hard…. But through it all we can live with peace that comes from Jesus. In this world we will have trouble, but I take heart because Jesus has over come the world! In Him we have salvation and victory!